Murry Reviews and Interviews: Ms. Thompson’s writing is to the point and easy to read. It is a good lead in the series, leaving the reader wanting to know what happens next in Serena’s life. The Book Slayer (Audiobook): This is such a great read for anyone who roots for the underdogs and likes a little bit of love in a book. I think it has a little bit of everything for everyone. So what are you waiting for? Go pick up a copy of this book today. Hall Ways Blog: (Audiobook): Speaking of reading with my ears — the audio book narrator, Jonathan Johns, has a delightful voice and pacing. He handled well the wide range of ages (from light hearted children to gruffer old men) and did an excellent job voicing the emotions of the characters. Dab of Darkness (Audiobook): This made the book feel like a near future scifi tale and also like a war time history story at the same time. Jess the Audiobookworm (Audiobook): What separates Bad Bloods from those super hyped books is Shannon A. Thompson’s magnificent character development and overall writing ability. That’s why I’m calling Bad Bloods a Hidden Gem. Getting to know Thompson’s characters was like slowly lowering into a hot bath. Intense, but at the same time oh-so-enjoyable. Slytherin Book Lady: If you like dystopians, then I suggest you get to your nearest bookstore or library and check this book out. I can’t wait to read the next three books. I didn’t want to put the book down. And I definitely didn’t want it to end. Midwestern Book Nerd: I highly suggest you read this series! On My Kindle: I loved this book! It’s an unlikely combination of gritty and clean that is executed beautifully. Truth About Books: Bad Bloods is a solid work of dystopian YA that will delight any fan of the genre. It also includes an angle that is too often overlooked by other authors in the category. Slytherin Book Lady: I didn’t want this book to end. Much like the first one I wasn’t able to put this one down. You won’t be sorry you bought the books; they are fantastic!! On My Kindle: An excellent plot coupled with the realistic dialogue of characters with varied, and interesting, abilities, made July Thunder easy to read and hard to put down. All in all, an intriguing and fresh young adult dystopian novel that is a must-have for die-hard dystopian fans! Midwestern Book Nerd: I would definitely recommend reading this if you enjoy dystopian type novels and the added bonus of some cool powers like in X-men. OMG Books and More Books: 5 stars! When an author announces that there are more books to a series that you love, can you imagine a reader’s emotions?? I was thrilled. 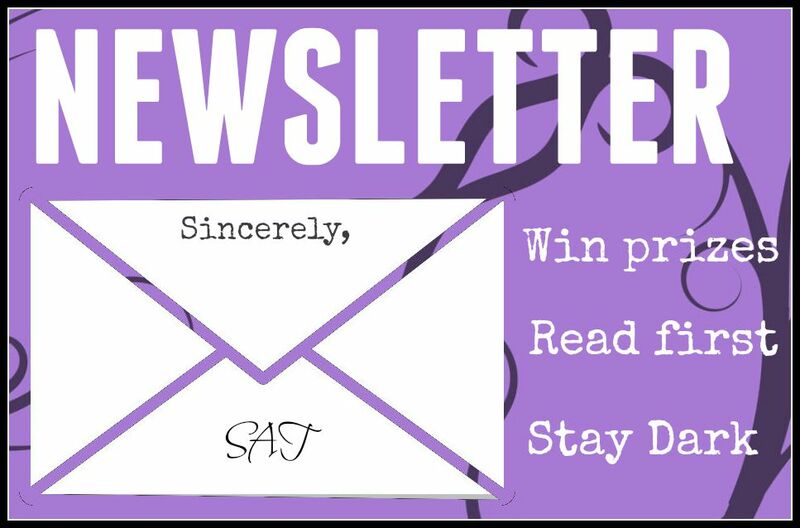 Crazy Beautiful Reads: New secrets, new bad bloods and new adventures!!! I loved this one as much as the first one. The Book Forums: I LOVE this! I am a sucker for great characters, and July Thunder has no short of them. Bad Bloods: July Thunder is a unique story with a strong focus on the brilliant characters rather than a world changing plot. Characters are truly given a chance to shine and the world a chance to be explored. I highly recommend the Bad Bloods novels for everyone but especially for someone who wants a smaller and more grounded narrative. Infinite Lives, Infinite Stories: I absolutely love this new addition to the Bad Blood series! New perspectives. New abilities. New situations. From the start, Thompson grabs your attention. You’re sitting on the edge of your seat until the very last page. Black Words, White Pages: This was a very fast paced story and it is a clean read for even teens to enjoy. This is a marvelous MUST read YA Paranormal, and I highly recommend this read to all to enjoy. 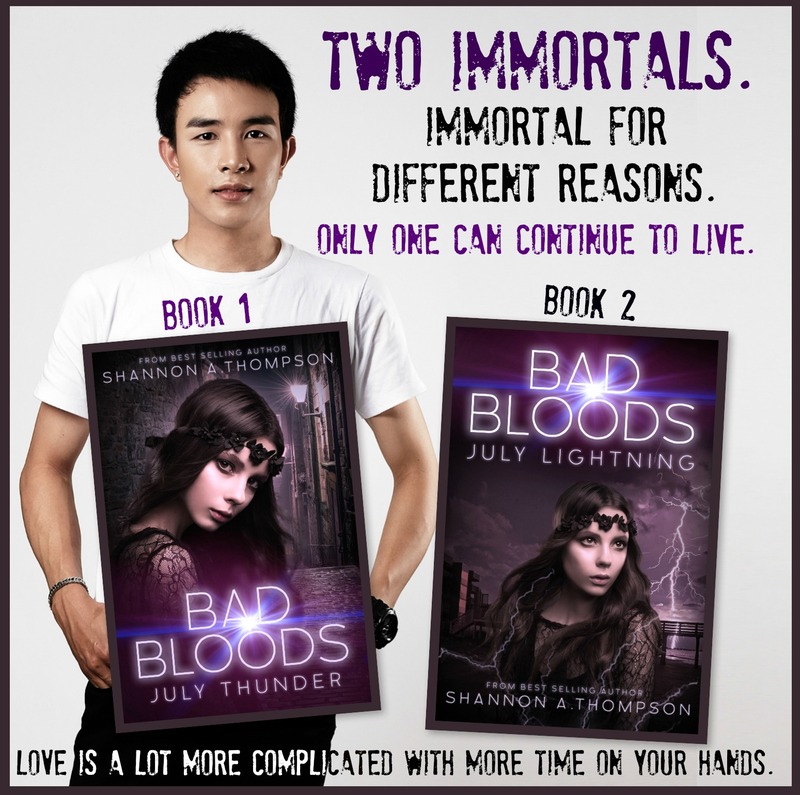 Babbling Books: Another fantastic addition to the Bad Bloods series and a marvelous start to a new duology. Wonderful writing, captivating characters and a story that will reel you in until the last page, these Bad Bloods may have a tendency of breaking the rules, but their stories are way too good not to read! Daydreaming Books: The plot was refreshing and easy to read. We get to see so many new characters and each one possessed a unique ability. Pointe Taken: I’m very excited to see where the series goes! Black Words, White Pages: OMG, What can I say about this book…..Just , just, just…….absolutely AWESOME!! Thompson spared us no secrets in this book. The story-line was magical. The Book Forums: As someone who lives in southern Louisiana, hurricanes and potential flooding has been a part of my life since I was born. It is a worrying thought for all of your possessions to be lost to an impending storm which one can do nothing about. This is a universal feeling anyone in this situation would feel, and it was portrayed very well in July Lightning. I would recommend all of the Bad Bloods books for anyone who is curious! Pointe Taken: I would recommend this series to any paranormal lovers, but read them close together! OMG Books and More Books: I loved this series from the start with the unique abilities of each character in the Bad Bloods world. 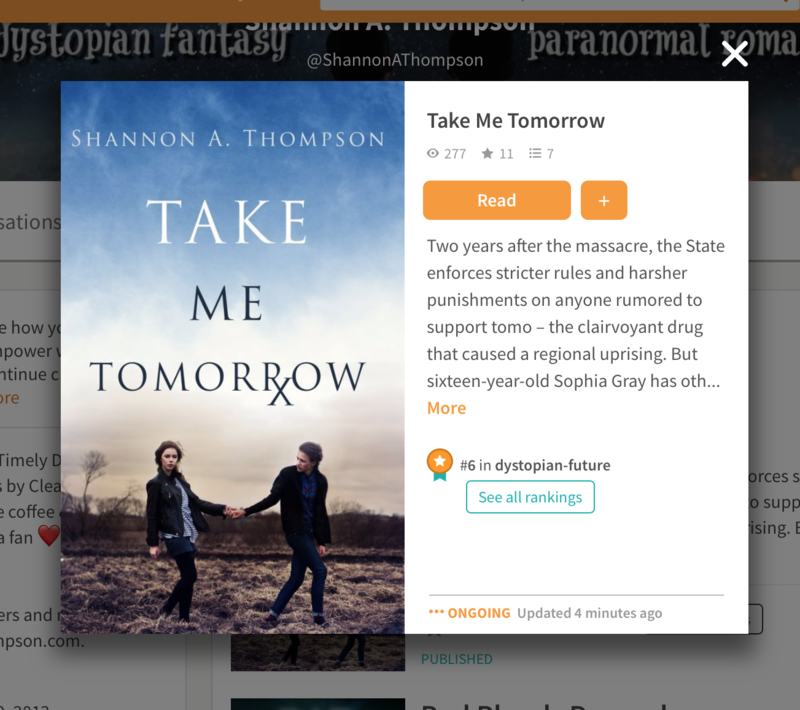 I can’t wait to read more books from Shannon A. Thompson! Infinite Lives, Infinite Stories: Thompson never ceases to surprise me. I’m always hooked from the beginning until the end. Those plot twists! Need I say more?! Thompson does such an amazing job at establishing the plot, characters, and setting. July Lighting was an electrifying (see what I did there :D), heart pounding, squeal-inducing experience. Babbling Books: This book was a heart ripping, head twisting journey, and I’m glad I got to experience it. Daydreaming Books: This book was pretty awesome. I was on the edge from the very start and couldn’t put this book down.